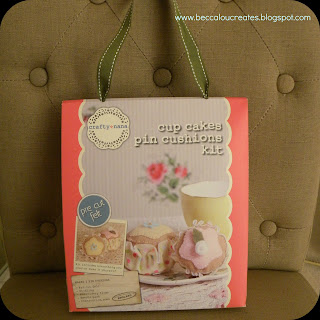 I was a lucky to receive a craft kit from my Mum recently as a little treat. 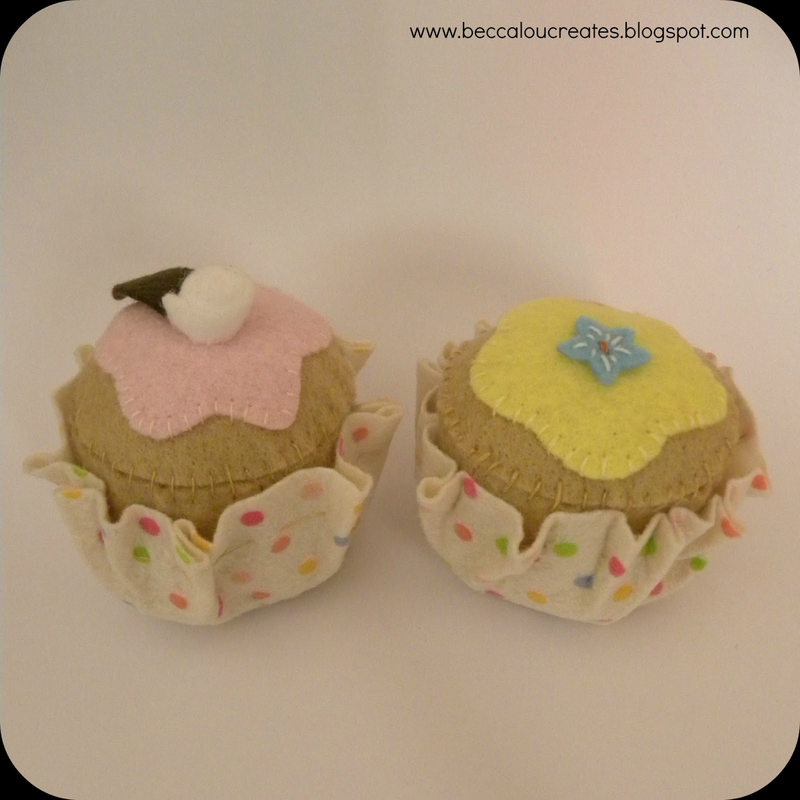 Its sat on my shelf for a couple of weeks until a had a couple of free evenings to focus on this, and I was thrilled that this was all it took - 2 evenings of stitching in front of the TV and pow - 2 gorgeous cupcake pincushions to adorn my craft table. They are so cute! 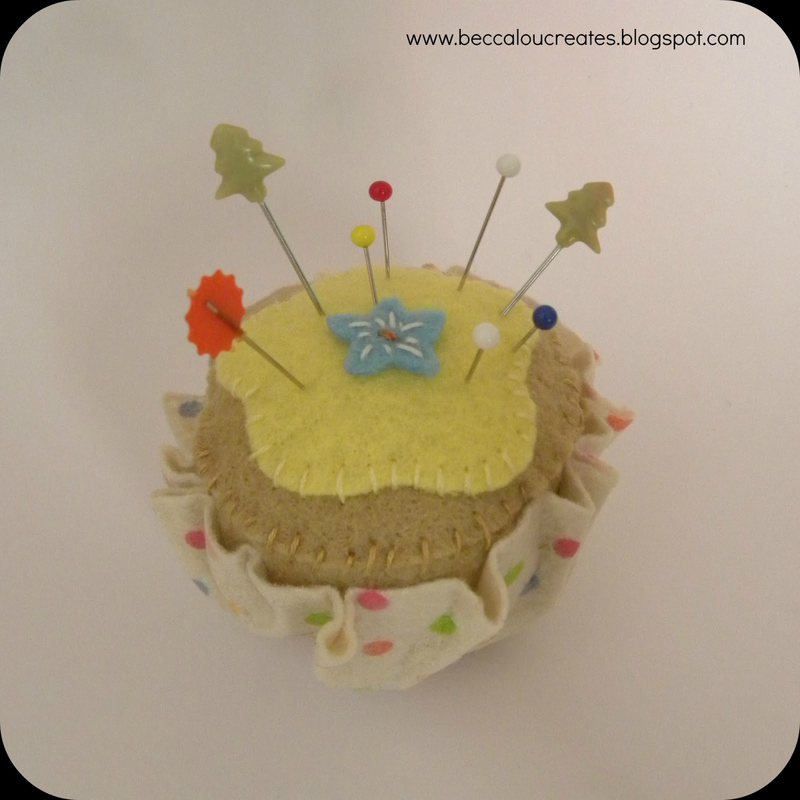 You could put some sprinkles on by way of beading too! Oh wow...this was a kit?! It came out very cute :) Thanks for visiting me on Twitter! Those are totally adorable! I swoon over polka dot anything... what's with me? LOL! I might have to try out that cupcake idea! Think these would be really easy to do without a kit, they are pretty basic shapes. I do love a kit though...the thrill of crafting without the worry things might go wrong, every now and then its nice to leave the cutting to someone else....cheating isnt always bad.